Boil water and add lots of salt (to keep the gluten-free pasta from sticking). When the water reaches a roiling boil, add pasta. In a separate pan, heat olive oil and add all of the pancetta. I like it crispy so I fry it for a long time. In a small bowl, beat the two eggs, add a pinch of salt, and set aside. Drain pasta after 10 minutes (depends on package directions). Add noodles back to the empty, but hot, pot and then pour the two eggs over the pasta stirring so the eggs coat the noodles. Then drain the pancetta thoroughly and add it to the noodle mixture. Stir and add the Parmesan cheese. Serve immediately and enjoy! Looks great! 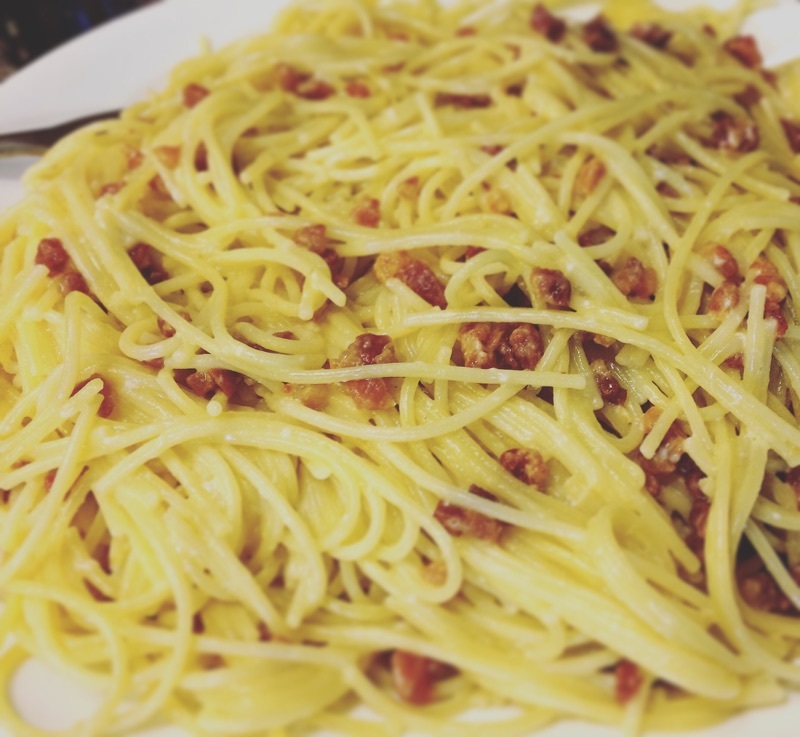 Hadn’t heard of adding eggs to Carbonara before… yum!